The iLet bionic pancreas helps patients manage their diabetes by both monitoring blood glucose levels and administering insulin and glucagon. 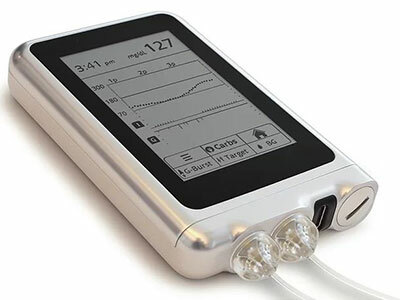 Children’s National Health System has been selected to participate in a multi-center clinical trial to test the efficacy of the iLet bionic pancreas — a device that automatically regulates blood sugar levels in patients with Type 1 diabetes. Patients generally manage diabetes by constantly monitoring their blood sugar levels and administering insulin when necessary. Unfortunately, too much insulin can cause hypoglycemia, or low blood sugar, which can result in hypoglycemic seizures, coma or rarely, death. Thus, it is extremely important for people with diabetes to regulate their insulin dosages and maintain their blood sugar levels within a range decided by the family and diabetes team. The iLet bionic pancreas helps patients manage their diabetes by both monitoring blood glucose levels and administering insulin and glucagon — a pancreatic hormone that raises blood sugar levels. Developed at Boston University by Edward Damiano, Ph.D., and Firas El-Khatib, Ph.D., the iLet is a hand-held device about the size of an iPhone but twice as thick, and can easily fit into a pocket. The unit consists of a dual chamber infusion pump that can be configured to deliver only insulin, only glucagon or both hormones. 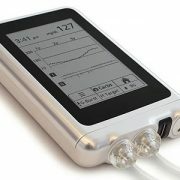 The device uses a wireless glucose sensor on the patient’s body to test blood sugar levels every five minutes. It then determines which hormone is needed and administers it via catheters connected to the patient. In short-term studies, the iLet was able to maintain blood glucose levels close to normal in both adults and children in carefully controlled environments. In 2016, the Children’s National Health System Division of Endocrinology and Diabetes, led by diabetologist Fran Cogen, M.D., C.D.E., was one of several pediatric sites that were selected to participate in pivotal clinical trials to further test the efficacy of the bionic pancreas. Later this year, the team at Children’s National will begin enrolling five to 10 children to test iLet devices that only deliver insulin. Once these initial studies are completed, the team will perform an additional trial to test iLet devices configured to deliver both insulin and glucagon.